What if a Trustee is Failing to File Tax Returns? Failing to file the required tax returns may constitute a California breach of trust under state law. Trustees typically have a duty to file tax returns and pay any taxes that are due. If a trustee fails to pay taxes, what options does a beneficiary have? There are several, including removing trustees and holding them personally liable. 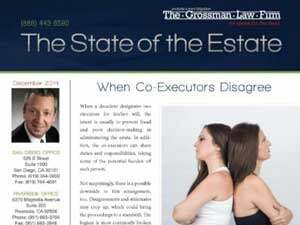 Serving as a San Diego executor vs. a trustee does not diminish the importance of having an experienced attorney in your corner. View here for more. Under the American Taxpayer Relief Tax Act of 2012, executors or administrators of an estate can make an election to preserve the estate tax exemption of the first spouse to pass away in a married couple. This allows the couple to take advantage of the exemption amounts of both individuals. What are the filing deadlines for tax returns during an estate or trust administration in California? 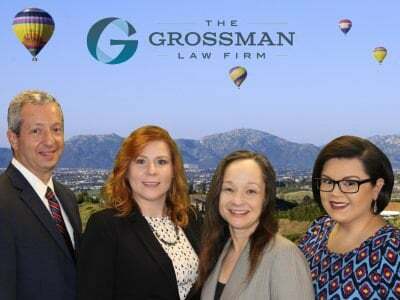 While the obligations of a personal representative or trustee are numerous during an estate or trust administration in San Diego, one of the most important duties is to file all necessary estate, gift, and income tax returns on behalf of the deceased, the trust, or the estate. Do we have to pay “death taxes” in California? 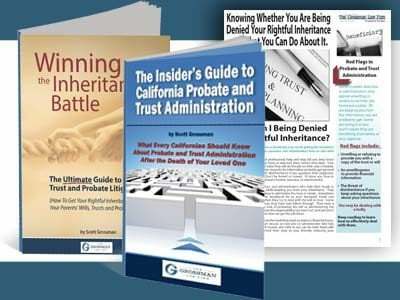 What most people in California mean by “death taxes” are the federal estate taxes and state inheritance taxes. Click here to learn more and whether or not we have to pay death taxes in California. Under the American Taxpayer Relief Act of 2012, many estates will have to pay attention to tax deadlines. View the five tips about estate tax.